The leader of one of the most revered modern prog rock bands lives here in Yorkshire. 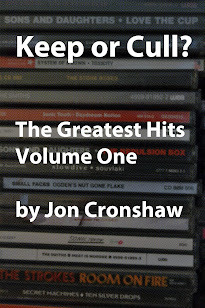 Jon Cronshaw spoke to him at his Otley home. Progressive rock may have had its heyday in the 1970s with the likes of King Crimson, Pink Floyd and Yes selling millions of albums worldwide. But as prog rock became unfashionable and disappeared from the airwaves, it has continued as an underground movement away from the mainstream since. Andy Tillison, 53, is a part-time music lecturer at Leeds City College and lives in an unassuming house in Otley, West Yorkshire. 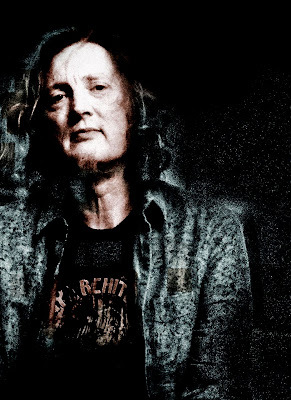 He is also the lead singer of The Tangent and he received the Outstanding Contribution to Music award by the Classic Rock Society earlier this year. He is about to release his band’s seventh studio album, Le Sacre Du Travail, which translates as The Rite of Work. 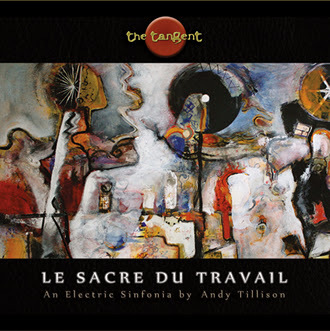 Le Sacre Du Travail is The Tangent’s first concept album. “Rather than being some kind of airy-fairy, Tolkienesque, Jules Verne thing – I’m a realist, what you might call a nice guy anarchist – I wanted to write about something that was real rather than about Mordor and the orcs,” explains Andy. As a starting point for the album, Andy turned to the hamlet of Blubberhouses, near Harrogate, for his inspiration. He considers how the commute to work can turn a tiny village into a passageway rather than a destination. “I’ve written about many of the places around here. Blubberhouses, which is a fascinating little village up near Fewston, figures in the new album because rush hour does have its effect on the countryside as it does in the cities. There are parallels between Le Sacre Du Travail and classical composer Stravinsky’s The Rite of Spring, celebrating its centenary this year. “Stravinsky is one of my biggest influences – going right back to childhood. “The Rite of Spring was about the pagan rituals that Stravinsky saw around him in the Russian countryside. The Tangent have achieved worldwide success – but in Britain, their music is only heard by a handful of dedicated fans. 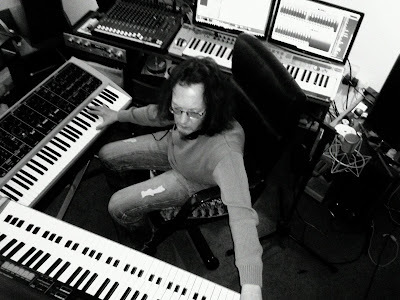 Andy believes that this is because prog rock’s reputation has been damaged by the media since the late 1970s. “You can’t get through a documentary about prog without hearing about somebody wearing a cape – and that really wasn’t what it was about. For Andy, the issue runs much deeper than the genre’s image – it’s about the general public’s attitude towards music itself. “People can get quite indignant about committing to a piece of music if it’s 20 minutes long,” explains Andy. Andy also believes that the proliferation of access to music is a double-edged sword. In one respect it gives users access to almost any piece of music they can think of within moments, and in another, making the music more transitory and of less value – that if it doesn’t grab you immediately, it’s easy to skip on to the next track. “I used to work in Harry Ramsden’s fish and chip shop after I left school, and I used to save my money up to buy records,” Andy recalls. “I remember buying The Lies Down on Broadway by Genesis, which is one of the most involved pieces of music they ever did. It cost me £4.25 – which is a serious amount of money for a kid working in Harry Ramsden’s during his holidays. I brought it home and I didn’t like it all – I felt like I’d wasted all of my pocket money. So there was only one solution – learn to like it. As well as being passionate about prog rock, Andy champions Yorkshire. As a musician who has travelled the world, this is still his favourite place. “I’m a proud Yorkshireman and always have been. But in particular, I’m a Wharfedale person – I just love this valley. To me it’s like this grand album that I’ve known all my life. I know where all the roads go to get me to my favourite places. “There’s a particular seat on Beamsley Beacon where I go and sit and write my music and just switch off. In July 1994 the song The Third Person by Andy’s previous band Po95 was posted online, in what is widely believed to be the first instance of a band using a free MP3 to promote their music. The song took 17 hours to convert to MP3. It then took a few days to upload the file to the internet using a 14.4kbps modem. It took a further day for the file to be downloaded, and another 17 hours to be converted back into a usable format – MP3 players hadn’t yet been invented. This was a far cry from iTunes and high-speed internet. This article was feauture in the Yorkshire Post, June 7, 2013.